Determining the distribution and potential ranges of detrimental invasive species has become an essential task in light of their impacts on the environment. However, this effort has been challenging, especially for global invaders. 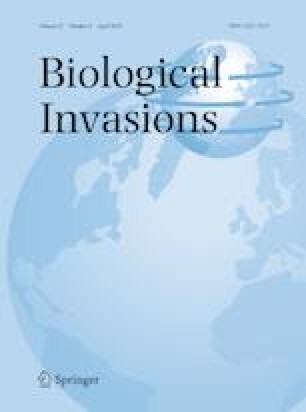 Our goal was to test whether potential ranges of global invaders can be predicted, and examine the factors that shape them by studying the past, current and potential global distribution of a broad-ranging avian invader. We used the common myna (Acridotheres tristis), one of the most broad-ranging avian invaders whose range is currently expanding globally, as a case study. We collected the first detailed global database of global occurrence (n = 7990) of the common myna over the past 150 years, including records from the native and the introduced ranges. We employed MaxEnt to construct species distribution models (SDM) for the global database using climatic, anthropogenic and environmental factors. We provide evidence that invasive species distributions can be predicted from older records, and that model accuracy requires integrating data from the introduced range. This first comprehensive distribution for an avian invader indicates an extensive expansion in the common myna global distribution, with the potential of large areas worldwide being at risk of common myna invasion, thus threatening local biodiversity globally. Range expansion has been facilitated by proximity to urbanized areas and broad environmental tolerance. Our findings reflect the major role of anthropogenic impact in increasing the global distribution of avian invaders and emphasize the value of using SDMs to inform global management practices. The online version of this article ( https://doi.org/10.1007/s10530-018-1900-3) contains supplementary material, which is available to authorized users. We thank the associate editor, Adam B. Smith, Emiliano Mori and an anonymous reviewer for their suggestions and comments. We are grateful to Emiliano Mori also for providing additional data for our analyses. We thank Takuya Iwamura, Jonathan Belmaker and Shai Meiri for their helpful comments, and to Adi Barocas for his technical assistance. We thank Naomi Paz for English editing. We also thank Steven Phillips for his vital help. Further thanks are due to Angelo Soto-Centeno for his thoughtful guidance. We are grateful to the Society for Protection of Nature in Israel, Israel Nature and Parks Authority, Shlomit Lifshitz and The Israeli Center for Yardbirds, J. L. Tella and C. Holzapfel for their valuable assistance in records collection. This work was supported by the Tel Aviv University Global Research & Training Fellowship in Medical and Life Sciences (GRTF) fund, The Smaller-Winnikow Fellowship Fund for Environmental Research, and The Rieger Foundation-Jewish National Fund fellowship. SK is supported by the Australian Research Council.